“That’s a rather depressing sentiment,” my Aunt Rita had commented. “It’s what I believe,” I had replied. Therefore, I was surprised to discover that although I have taught his essays and discussed his literary impact on American Literature, I have not yet written on this blog about Henry David Thoreau. This post will correct my oversight. I still remember the opening phrase from the essay, “I wish to speak a word for Nature…”. His was an understatement. This particular Thoreau essay runs about 20 pages; a total of 12,188 words. Which is the best man to deal with—he who knows nothing about a subject, and, what is extremely rare, knows that he knows nothing, or he who really knows something about it, but thinks that he knows all? Using Thoreau’s essay “On Walking” was my attempt to complement Bill Bryson’s memoir of his hiking on the Appalachian Trail in A Walk in the Woods. Bryson’s writing was more accessible to the students than Thoreau’s 19th Century prose which is stuffed with allusions of all types. Unlike Thoreau, Bryson makes background instruction unnecessary. 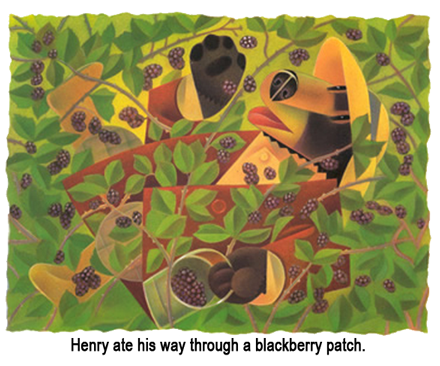 Another accessible text for students was the picture book I placed on the Livebinder, the charming Henry Hikes to Fitchburg by D.B.Johnson. Thoreau reimagined as a bear, enjoying Nature! In this tribute to Transcendentalist philosophy, Johnson cast the naturalist Thoreau as a bear who hikes his way on a route (actually taken by the author), stopping to engage with several of his famous American neighbors (Alcott, Hawthorne, Emerson) also as bears. Henry’s bear companion chooses to work in order to take the train, setting up a story that implies money cannot buy the experience of nature. Students found the message profound, and unanimously agreed that a bear was the perfect choice for Thoreau. I asked students to find their own walking songs to share in class. There was also an audio essay from the series “Engines of Our Ingenuity” based on an invention (using clay) that Thoreau used to make better pencil out of inferior graphite. Who could have been more inspired to make a better pencil than a writer who used pencils in his writing? I had hoped that students would be equally inspired to see the connections that Henry David Thoreau had to their lives, to see how he had inspired Bill Bryson and others to take walks in nature. How he promoted Nature as a way for students to gain knowledge about themselves and the world around them…. To encourage others to spend time in the kind of thought that “transcends” or goes beyond what they may see, hear, taste, touch or feel. 40 years after choosing that yearbook quote, I have not shifted in that belief. Sorry to interrupt your well-deserved summer vacation. But I have a resource that I think you should use next year in the Advanced Placement American Government class. You should share this resource with the Issues in Government classes. This Sunday’s NY Times (7/2/17) magazine has special section devoted to a single spread layout, four pages long, that features an annotated United States Constitution. How could this be used in your classroom? In presenting this annotated document, the editors have given teachers a tool to help students better understand our country’s basic rules. They have implemented a literary strategy known as “chunking the text” which means breaking down a difficult text into more manageable pieces so that students can close read for better comprehension. Chunking helps students identify key words and ideas, develops their ability to paraphrase, and makes it easier for them to organize and synthesize information. Close reading requires students to read and reread a text multiple times for what the text says and how the text works in order to determine how the text has an impact on their lives. Several sections of this annotated Constitution have commentary from a lawmaker or a scholar or an author or a NYTimes editor. Over 30 individuals offered commentaries printed in the margins including: Representative John Conyers (Michigan), Representative Adam B. Schiff (California), Senator Mike Lee (Utah), Senator Lamar Alexander (Tennessee), Senator Patty Murray (Washington) Janet Napolitanto (former Secretary of Homeland Security), Jamal Green (Columbia Law Professor), Lawrence Tribe (Harvard Law Professor) as well as staff writers Adam Liptak and Emily Bazelon. Each short commentary, about one or two short paragraphs long, serves as a model for students to follow. 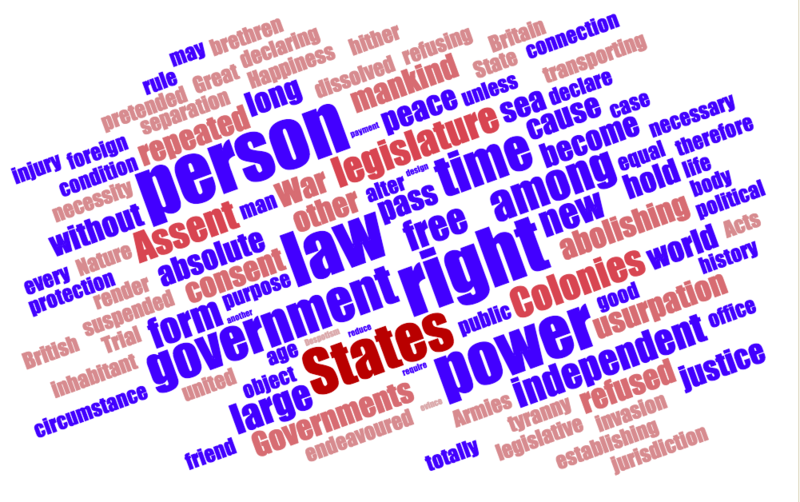 Students can be asked to imitate what the contributors have done and chunk the text of the Constitution in order to rewrite text in their own words. By chunking the text, students are better able to identify key words, to analyze ideas, to paraphrase, and to synthesize information. Each commentary is connected by an arrow imposed on the section being annotated. 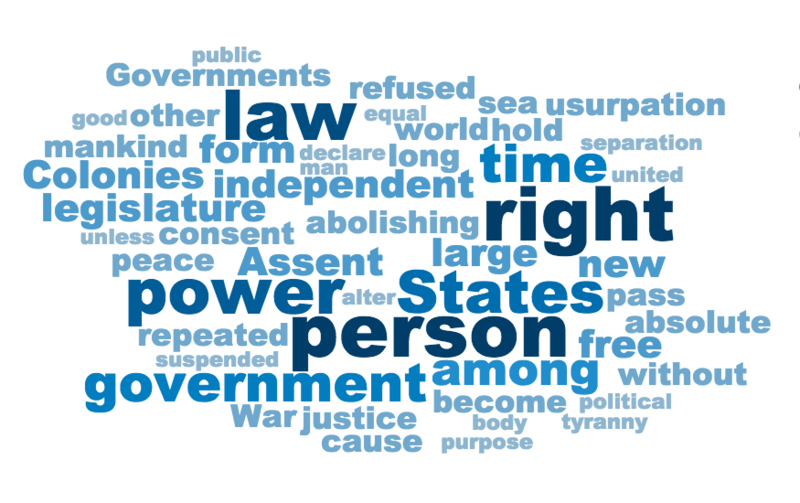 For several sections Amendment 14 -Civil Rights) there are several commentaries. In total, there are 40 commentaries offering multiple points of view on our founding charter. Their examples serve as models to show students how to analyze and to synthesize the language of the document. There is a prologue to the inside spread, a two page essay by author Garry Wills, who has written about James Madison, framer of Constitution. 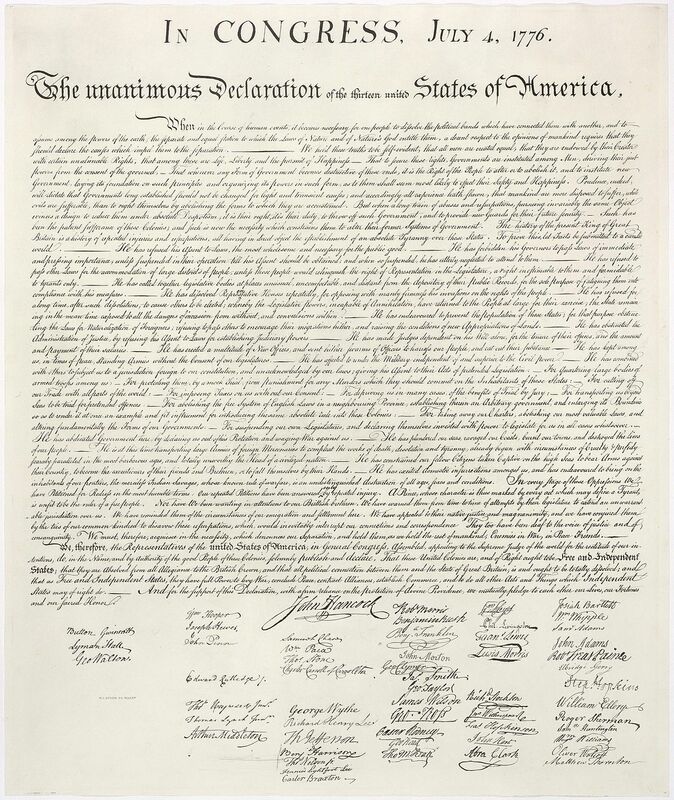 His essay, titled “Child of the Enlightenment,” discusses the principles derived from the the Age of Reason that guided the “secular miracle” of the Constitutional Convention over the course of a year: convened in 1787 and ratified 13 months later in June 1788. Wills argues that such virtue was-and still is -the key component of all government. Finally, at the the bottom of Wills’ prologue, there is a timeline marking several Constitutional milestones, beginning with its origins in Ancient Greece and ending with today. Taken as a whole, the special section this Sunday eliminates the need for civics textbooks, which I have often suggested are dated. We both know that students are more motivated when they respond to the issues being discussed today. This four page spread of newsprint is an entire civics course. ..you just have to get a copy! (or you can borrow mine). 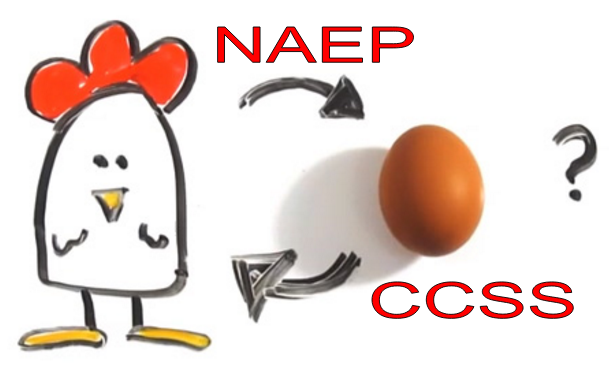 In a previous post, I discussed how the “Chicken or Egg?” conundrum is a way to view which agency- National Assessment of Educational Progress (NAEP) or the Common Core State Standards (CCSS) – is responsible for the recommendations for fiction vs. non-fiction in a student’s reading diet. In 2015, the NAEP the “largest nationally representative and continuing assessment of what America’s students know and can do in various subject areas” provided a voluntary survey on which teachers could select the literary genre they emphasized in class “to a great extent.” NAEP noted that over the past six years, there has been a steady increase in nonfiction in grade 4 and 8, a phenomena that coincides with the adoption of the CCSS and the revisions to the NAEP reading content. As the primary reason or as a result, the CCSS has promoted expectations that a student’s reading diet reflect a ratio 30% fiction and 70% nonfiction across the content areas by the time he or she graduates from high school. Complicating the question of which came first, the CCSS recommendations or the NAEP, another genre has been evolving and gaining popularity with students at all grade levels, the genre of creative nonfiction. Creative non-fiction or the narrative non-fiction genre features the same techniques that fiction writers, playwrights, and poets use in order to present real people and events as stories while still using factually accurate prose. The goal of the creative non-fiction writer is to make nonfiction stories as exhilarating, arresting, vivid, or dramatic as anything in the fictional story. “We rely on stories not merely for entertainment, but for explanation, meaning, self-understanding. We instinctively make connections of cause and effect, and always have. To deny the centrality of narrative is to deny our own nature” (146). Consider the following examples of great openings that use the poetry, humor, or suspense, associated with fiction in different kinds of non-fiction. The poetic combination of “leafy calm” and “gentle arms” sets a peaceful tone that is soon disrupted when the infant gorilla is kidnapped from the Democratic Republic of the Congo and brought to Tacoma, Washington, to live his real life in a mall. Accompanying the text are snowfall loops of digital GIFs embedded with video, audio interviews, graphics, and other interactive features. I have written before that the text of “Snowfall” marks a new step in storytelling, a mentor text that models how to create a story where all forms of media support an author’s purpose. Real stories are breaking the 3rd wall in storytelling. 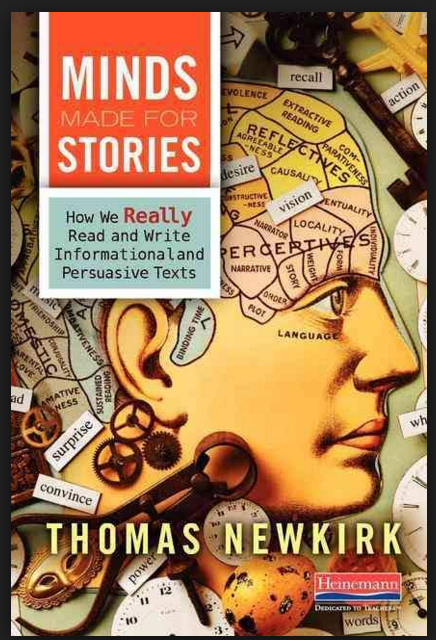 In their books, both Lisa Cron and Thomas Newkirck have identified how our brains have preference for reading and writing the narrative. That preference is advancing genre adaptations that may render recommendations for reading diet ratios unnecessary, whether they come from the NAEP, the CCSS, or some other agency. Because we are human, and because our brains want stories, the evolving genre of creative non-fiction is rapidly becoming another egg in the reader’s basket. The NY Times Sports Sunday Preview by Joe Ward on 2/7/16 for Super Bowl 50 was part rebus, part infographic and wholly adaptable for a model lesson on annotating text for students in middle or high school. The article charted the growth of the Super Bowl from different elements: tickets, football players, and attendance. Cultural icons from the entertainment industry associated with this sports cultural icon are included. Here is the model for a lesson to increase a student’s background knowledge on a topic (preferably chosen and not assigned). There is the cryptic title, Size I to Size L, that requires that students understand Roman Numerals. There is the quarterback Len Dawson of the Kansas City Chiefs smoking a cigarette during half-time in the locker room, a picture that requires understanding what was acceptable before the the Public Health Cigarette Smoking Act, banned the advertising of cigarettes January 2, 1971. There are the references that can drive student research into the Bell Rocket Air Men, the dog Lassie star of film and TV, and the changes in size of the American football (inflated or deflated arguments, notwithstanding). The page dedicated to Super Bowl 50 is a model for students to take any informational text and “annotate” by adding pictures, just as the editors added the picture of the 1st Super Bowl ticket ($12.00). There can be cross-disciplinary links by having students use calculations as charts, just as the editors calculated the price increases in ticket sales and in advertisements, and the increase in player weight. Ward, Joe. “Size I to Size L.” New York Times. 7 Feb. 2016. Web. 8 Feb. 2016. Teachers can use the page as a model for other topics of inquiry. A model lesson, ripped (quite literally) from the front page! 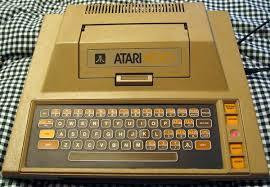 I just figured out that this is my 400th post. I began writing on 7/3/2011, a little over four years ago. I have discovered that writing for this blog has given me the opportunity to research many topics and to explore what I think about those topics as I write. In other words, I have increased my own background knowledge through reading and writing on this blog. So, what could be the best way to celebrate this 400th post? I can demonstrate how a post can increase a reader’s background knowledge on a topic as simple as the number 400! If this post was an explanation of the appearance of celestial objects, it would explain that while the Sun is approximately 400 times the size of the Moon, it is also approximately 400 times further away. Their astronomical size difference is not comparable because of a temporary illusion causing the Sun and Moon to appear as similar size in the Earth’s sky. If this post was a measurement of time between the writings of the Hebrew Bible and the Christian New Testament texts, this post would represent the Intertestamental period, or roughly four hundred years. And the people they (wo-o-o-o) still can’t see. All of the above evidence on the significance of the number 400 is proof that every time I sit and write a post, the research that I do for that post has increased my background knowledge. I hope you learned something new to add to your background knowledge from this 400th post! Of all the national holidays, Labor Day is the most passive. It floats as the first Monday in September; it lacks a symbol, a song or ritual. Maybe that is not so strange for a holiday that has come to be a collective celebration of rest. Labor Day is also set aside to recognize the importance of labor or work in our lives. Honoré is best known for coordinating military relief efforts for Hurricane Katrina-affected areas across the Gulf Coast and as the 2nd Infantry Division’s commander while stationed in South Korea. Honoré, also known as “The Ragin’ Cajun”, offered an audio essay that was shared on NPR’s Weekend Edition , March 1, 2009. Honore described how he I looked at those two men, and “had a feeling I had been told something really important, but it took many years before it had sunk in.” As a young man, he joined ROTC to pay for college, and that obligation led to his 37 year career in the Army. 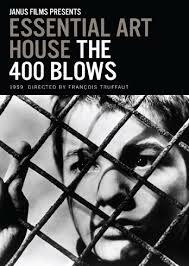 Honoré’s essay is (561 words); his audio recording of the speech is 4:02 minutes long. The readability level/Grade Level of the essay is 6.7 according to a Flesch–Kincaid readability calculator. Both the essay and the audio recording are available on the This I Believe website. In the audio recording, Honoré’s thick Louisiana accent personalizes his message, a form of a quick read-aloud while student can follow in the text. Educators who might want to use this speech with students in grades 6-12 could align their questions to several Common Core State Standards (CCSS) for reading informational texts. Reading informational texts such as this speech help students build a foundation of knowledge in multiple fields. In addition to English Language Arts, this essay can be part of any social studies program from middle school geography to AP Human Geography. The background knowledge the essay provides helps them to be better readers in all content areas. 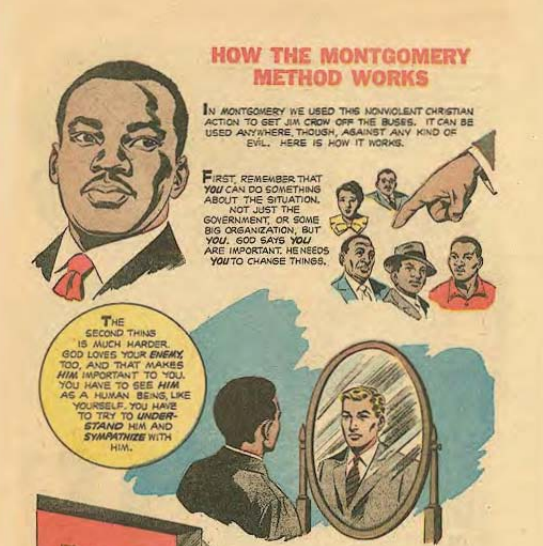 RI.9-10.1 Cite strong and thorough textual evidence to support analysis of what the text of this speech says explicitly as well as inferences drawn from the text. What textual evidence supports your analysis of the Honoré’s speech? What inferences can you draw from specific textual evidence? RI.9-10.2 Determine a central idea of a text and analyze its development over the course of Honoré’s speech, including how it emerges and is shaped and refined by specific details; provide an objective summary of the text. What is the central idea of the speech? How is the central idea developed? What supporting ideas are included in the text? RI.9-10.3 Analyze how Honoré’s unfolds a series of ideas or events, including the order in which the points are made, how they are introduced and developed, and the connections that are drawn between them. What connections can you make among and between the individuals, ideas, or events in Honoré’s speech? What distinctions can you make between the speech’s individuals, ideas, or events? Analyze how Honoré connects the ideas and events of the text? RI.9-10. 4 Determine the meaning of words and phrases as they are used in Honoré’s speech, including figurative, connotative, and technical meanings; analyze the cumulative impact of specific word choices on meaning and tone. What does the word/phrase _______ mean in this selection? How does the Honoré’s use of repetition of ___________ impact the tone of his speech? Identify and analyze which words or phrases specifically impact the meaning or tone? Labor Day may be a passive holiday, but this day is important to recognize the importance of work in every life, and we should share that message with our students. The most logical conclusion I can come to is that Southport residents must do nothing all day but read. They must read a book a day…maybe more. I tried as hard as I could to lessen the load of titles on the young adult tables, but the six boxes (approximately 250 books) I hauled out from the sale barely made a dent. These books will go into classroom libraries for independent reading (silent sustained reading -SSR), literature circles, book clubs, etc. The premise of bringing these books to the classroom is to make sure that students at all grade levels have access to books at any given moment during the school day. In under two hours, I filled six boxes with plenty of favorites (grades 5-10) from authors Gary Paulson, Meg Cabot, Ann Brashares, Jerry Spinelli, Laurie Halse Anderson, and Rick Riordan. I also grabbed selections of book series that fall into the “popular culture categories” such Goosebumps (RL Stine) , Captain Underpants (Dav Pilkey), Ranger’s Apprentice (John Flanagan), and Alex Rider (Alex Horowitz). These are not the books that teachers will “teach” but they are the books students will read; the difference is described in an earlier post. There is increased attention to incorporate informational texts such as this book because of the design of the Common Core State Standards in Literacy which suggest that by 12th grade, 70% of a reader’s diet should be non-fiction. The copies I have are enough for a small group(s) to read in literature circles or book clubs. I also collected copies of Cormac McCarthy’s The Road for the American Literature classes (grade 10). This apocalyptic novel is worth including in a curriculum because of McCarthy’s style and message. 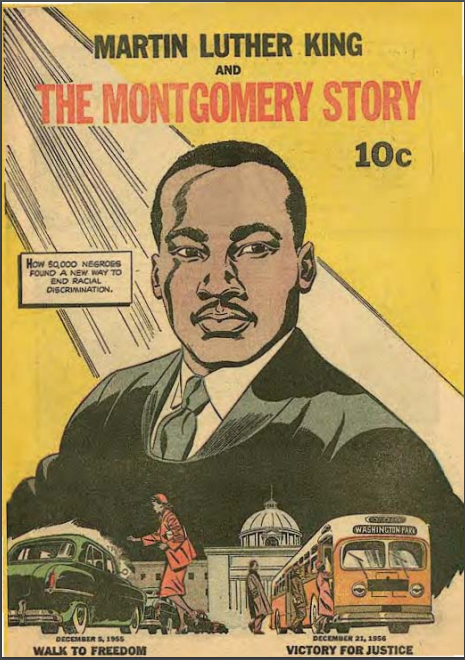 In an earlier post I describe how The Road was the first book I collected for use in the classroom; its integration into curriculum was very successful. Copies of the book with its distinctive black cover and bold lettering were easily found among the 10 or 12 tables of donated fiction….as if there had been a massive book club after-party. There were large crowds attending the Southport Pequot Library’s annual sale on Saturday, and the long lines of patrons waiting patiently to check out at the volunteer cashier tables might cause one to wonder if the sale has become a victim of its own success? On the other hand, as they slowly snaked past the tables of nature books and cookbooks, patrons continued to browse and added even more purchases to the piles in their arms or bags. No one complained as there was always something to read. Overflow of books or marketing geniuses? ?…those long lines on a Saturday afternoon could just be another successful marketing technique by the Friends of the Pequot Library. There are a number of people who are fundamental to our judicial system: Thomas Jefferson, author of the Declaration of Independence; John Jay, first Supreme Court Justice; William of Wilton, canon and scribe at Salisbury Cathedral…..wait, William of Wilton? Yes, William of Wilton has recently been identified as one the scribes who is responsible for one of four original copies of the Magna Carta. As a scribe, William of Wilton would have been educated in the arts of writing and copying manuscripts, an important job to have before the invention of printing. He may not have understood the significance of the document, but perhaps his employer, the English bishop of Salisbury Cathedral, Herbert Poer, did. New research indicates that it was the Church that was largely responsible for circulating copies of the Magna Carta shortly after it was signed by King John of England. 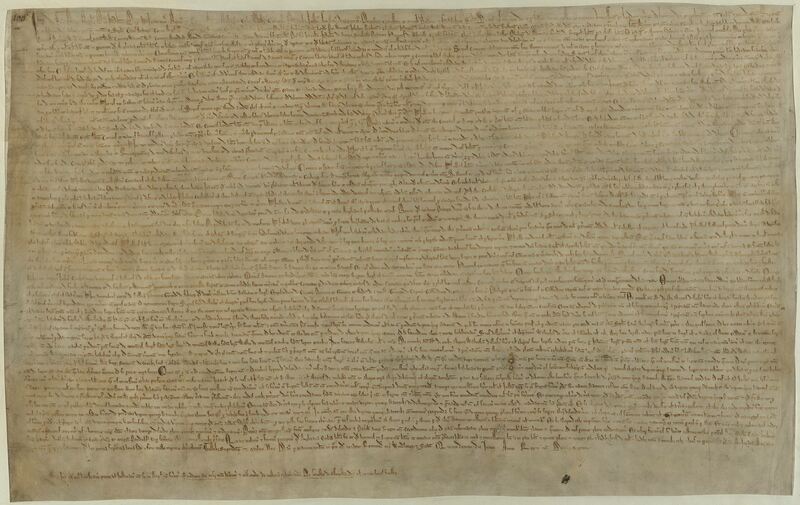 The Magna Carta, the “great charter”, was a peace treaty agreement made when King John was forced to give into a large rebellion led by barons. They were in revolt because of heavy taxation that came as a result of unsuccessful foreign policies. According to History.com on June 15, 1215, “John met the barons at Runnymede on the Thames and set his seal to the Articles of the Barons, which after minor revision was formally issued as the Magna Carta.” Months later, King John, supported by the Church, nullified the agreement. Despite negation, the document and its provisions survived. Magna Carta was annulled by the Pope just 10 weeks after it had been issued, being described as “shameful, demeaning, illegal and unjust” and declared “null and void of all validity for ever”. As part of the publicity for this celebration, The British newpaper The Independent featured interviews with Professor Nicholas Vincent of the University of East Anglia and Professor David Carpenter of King’s College London who are making the claim that the Church, not the royal government, was largely responsible for seeing that copies of the charter were circulated. According to the article, Magna Carta: New Research Sheds Light on the Church’s Role in Publishing World-famous Charter,(6/14/15) a careful comparison of different handwriting led to the discovery of William of Wilton using royal documents still surviving in English and French archives and ecclesiastical documents surviving in English cathedrals and in the National Archives. There were many other scribes who also copied the manuscript in 1215, but is the copy that contains the DNA of William of Wilton that survived. It is his handiwork that is is enshrined in a place of honor in the British Library today. The definition of history is a continuous, systematic narrative of past events as relating to a particular people, country, period, person, etc., usually written as a chronological account. We do not know much about William of Wilton, but we can share this story of the Magna Carta with our students to show them how one man’s story makes history real. Here is the story of a man who reproduced documents for a living. He is responsible for the copy of a document that is the foundation of our legal system. 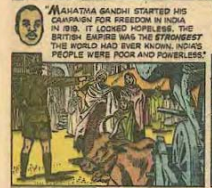 His story is a part of our history as well.